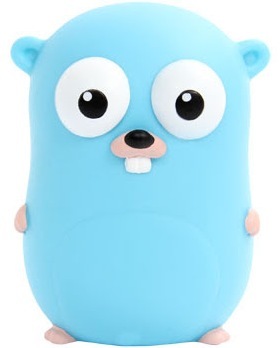 This page lists a few resources for programmers interested in learning about the Go language. A selection of books about Go. Start here to learn how to set up a workspace to write Go code. Sublime Text via the GoSublime plugin. Vim via the go-vim plugln. GoLand from Jetbrains, the makers of IDEA. An incomplete list of Go tools. and more from the Go Community Wiki. Once you’ve got your environment set up, here are some excellent resources to learn Go. The Go Bootcamp Book, everything you need to know to get started with Go, by Matt Aimonetti. Damian Gryski’s Gophervids is an aggregator for recordings of Go meetups and conferences. Go Time with Brian Ketelsen, Carlisia Pinto, and Erik St. Martin. Here is a selection of presentations about Go targeted at those wanting to learn about the language. Getting started with Go, by Andrew Gerrand. A tour of Go, by Russ Cox. Go at Google, Rob Pike, SPLASH 2012. More presentations, talks.golang.org and the community wiki. Interact with the Go programming community. #go-nuts IRC channel at Freenode. For the truly curious the channel is logged by botbot.me. Gophers’ community on Slack (signup here for an account). Go+ community on Google Plus. Go user groups and meetups. golang-nuts mailing list. This is a high volume list. You may find it more rewarding to interact with the group via email, rather than the Google Groups web interface. The Go Programming Language Blog.